Mention of Newport, Rhode Island generally elicits thoughts of extravagant wealth: palatial mansions, mega-yachts, possibly even Taylor Swift. Yet the charming seaside town comes from rather modest colonial roots, and is home to citizens of all socioeconomic classes. Commonly considered New England’s summer resort, Newport has far more to offer than its desirable coastline and summer visitors. Before we explore the city as it is today, however, let’s have a brief look at the history of Newport. 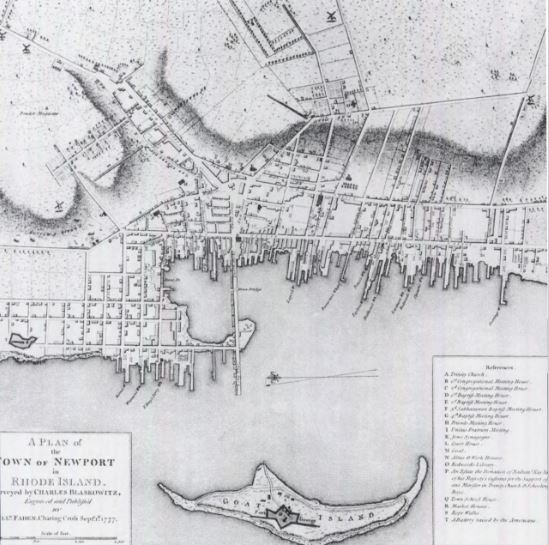 Newport, Rhode Island was founded in 1639 by English settlers seeking religious freedom from the Puritans in Boston. Intent on creating a community in which wide-ranging religious beliefs were welcomed, the founders incorporated a policy of ‘liberty of conscience and religion’ into the Newport Town Statutes of 1641. This policy was a beacon for settlers of varied religious beliefs, and the town grew rapidly as people came from different colonies to establish a new life in Newport. 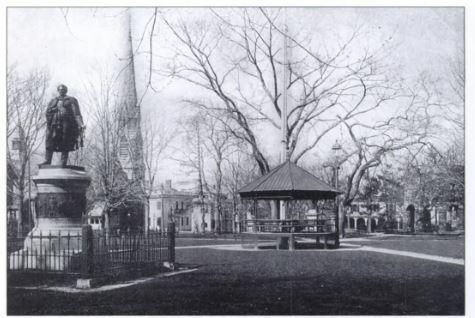 Surprisingly, there existed a central paradox in the town’s early founding, which, though many recognized, was not to be addressed for more than a hundred years. Newport was notorious for being the major slave-trading port in the British Empire. It was a key operator in the “Triangular Trade,” wherein molasses was imported from the Caribbean to Newport, where it was then made into rum, which was shipped to Africa in exchange for slaves, who were then traded for molasses… and on, and on, the cycle continued. “Surplus” slaves, those not traded for molasses, were brought back to North America and sold to plantation owners. Though Newport’s economy was mainly supported by the slave trade in its early history, over the course of the next several decades, Newport also began to enjoy the benefits of tourism. Namely, vacationers seeking to escape the oppressive summer heat in the Carolinas and the Caribbean found refuge in the coastal city. 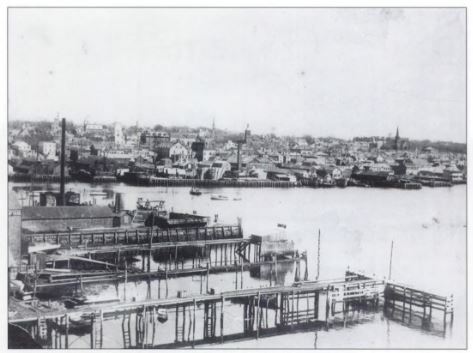 This additional revenue stream became vital after British occupation of the city during the American Revolution led to the collapse of Newport’s maritime trade. Following this unfortunate change in fortune, Newport focused on repositioning itself as a summer resort. Over time, wealthy families such as the Astors, Vanderbilts, and Morgans began spending their summer vacations there and entertaining their friends in the magnificent mansions they built. As the town’s reputation as a summer destination grew, more families flocked to enjoy the city by the sea. Though Newport’s culture and economy flourished in the wake of the tourism industry, its history has always been tied to the sea. Recognizing its geographic value, the U.S. Navy designated it as a primary naval site shortly after the end of the Civil War. The Naval Training Station, Torpedo Station, and Naval War College were all established there, creating a critical naval presence that remains influential to this day. Newport’s history is undoubtedly rich and varied. This is reflected both in its culture and its residents today. 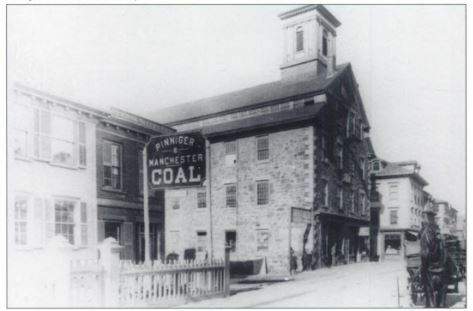 But before we explore things to do and see in the city today, let’s take a look at some historic images of Newport. Reprinted from Images of America: Newport by Rob Lewis (Arcadia Publishing, 1996). Reprinted from Images of America: Newport Revisited by Rob Lewis & Ryan A. Young (Arcadia Publishing, 2001). - Salvation Café - Vibrant spot with funky, creative decor known for a clever mash-up of global fare & cocktails. - The Mooring Seafood Kitchen & Bar - Narragansett Bay views sweeten the deal at this upscale seafood destination with outdoor dining. - Flo's Clam Shack - A no-frills stop for New England seafood since the '30s, with counter service & an upstairs raw bar. - Black Pearl - Atmospheric wharf bar & formal restaurant with nautical decor, famed chowder & a busy summer patio. - Café Zelda - Neighborhood bar & bistro with a homey feel providing French & American dishes in quaint quarters. Try their brunch! - Castle Hill Lighthouse – located at the end of the historic Ocean Drive on Narragansett Bay, the lighthouse was completed in 1899 to aid passing ships sailing through the East Passage between Aquidneck and Conanicut Islands. - The first traffic law was created in 1678 in Newport, when authorities banned galloping horses on local streets. - On September 12, 1953, John F. Kennedy and Jacqueline Bouvier were married at St. Mary’s Church. - Newport, the colonial capital of Rhode Island, was the first of the thirteen colonies to declare its independence from England on May 4th, 1776. - Newport is home to the International Tennis Hall of Fame. The first U.S. National Tennis Championship was held in Newport on August 31st, 1881 at the Newport casino. Click to browse all of our Newport, RI titles.